Dal or lentil curry is the simplest of Indian curries to cook. The humble dal is cooked in every home in India, whether you are a king or a pauper! It is one of the essential food items and also the primary source of protein for most vegetarians. From a bachelor to a seasoned chef, the recipe for classic dal fry is up every Indian’s sleeves. 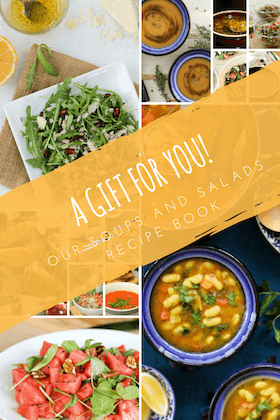 As it is cooked in every household, the recipe varies from one cook to another. Over the years my own recipe for cooking dal fry has changed. 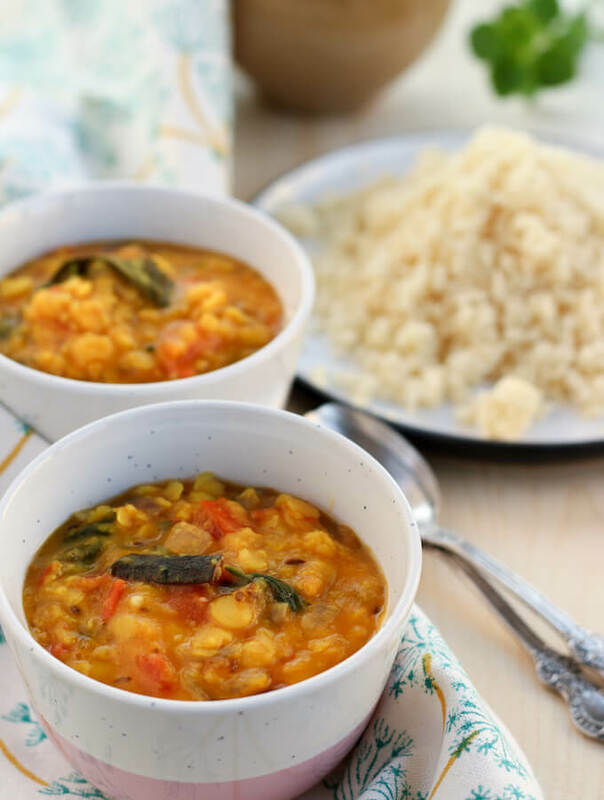 In this recipe, the boiled dal is cooked with a rich masala made with onion, ginger-garlic, tomatoes and a seasoning of curry leaves, chili, cumin seeds, salt, and turmeric. It is more like the dal-fry you will find in restaurants with all the benefits of actually being home-cooked :-). On days when I want to keep the meal very light, I make the dal only with tomatoes and ginger with cumin seeds, salt, and turmeric seasoning. No onion, no garlic cooking is very common in many Indian households especially Jains who do not eat anything that grows under the ground. To make Jain dal fry, skip the onions and garlic. In our house, we make dal fry with arhar dal (also called toor dal in Hindi and pigeon peas lentil in English), but you can use any other yellow dal like yellow moong dal or chana dal (Bengal gram) or red lentils or a mix of any of them. I’ve used dried curry leaves which I got from India during my last trip back home. They are of course only second to fresh ones but we don’t find curry leaves here in Bucharest. If you have access to fresh curry leaves, definitely use those! Simple dal fry recipe with a rich masala of onions, ginger, garlic, tomatoes and aromatic spices. Dal fry is one of the most popular Indian lentil curries. Prepared in almost every household, there are as many recipes as there are kitchens in India. This is a simple recipe for the classic dish as it is cooked in restaurants with the goodness of actually being cooked at home. Wash the lentils (arhar dal) in 3-4 ranges of water. 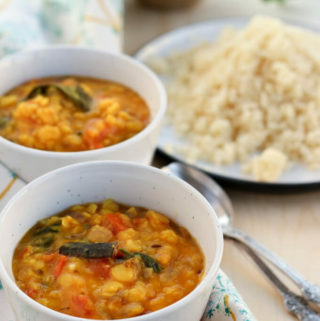 In a pot, cook the dal with 1½ cups water, some salt, and ½ tsp turmeric, until it is soft. * Keep aside. In a separate pan, heat ghee** on medium heat. Add asafoetida and cumin seeds. When the seeds start to crackle, add the dried red chili, cinnamon stick, curry leaves, ginger, garlic, and green chilies. Mix well. Next, add the onions. Mix well and sauté for about 5 minutes till the onions start to brown. Add the chopped tomatoes and mix. Add the remaining turmeric and salt. Mix well. Add a little water if the masala is sticking to the pot. Cook for another 5 minutes. Add the cooked dal, mix everything together and let the curry simmer for another couple of minutes. For garnish, add fresh coriander leaves and serve with rice. *You can also pressure cook the dal, but it becomes very mushy as arhar doesn’t need long to cook. For dal fry recipe I prefer cooking the lentils in open pot. **In India, dals are mostly cooked in ghee. According to Ayurveda, ghee is very healthy for your body. But if you are vegan, use olive oil or other vegetable oil in place of ghee.